The Sam Houston State University Experts Guide is an online tool for journalists to identify and connect with qualified faculty experts who routinely work with the media and can comment on a broad range of timely news topics. 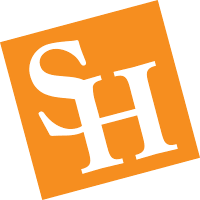 This site’s database contains names, topic areas, and biographical and contact information for SHSU faculty who volunteer to share their areas of scholarship, as well as a high-resolution photograph of each expert that can be used in print, online and televised media. Experts may be contacted directly, as indicated on their individual profile pages, or through the SHSU Communications Office, as indicated on the right. Search by topic, or browse by college, below. Please thoroughly fill out the experts submission form. Sam Houston State University faculty argues that an osteopathic medical school is the prescription for what’s ailing underserved communities in Texas. NPR’s Texas Standard talks with Bobby LaRue, associate professor of forensic science about the ethical concerns of law enforcement use of genealogy sites. Houston Matters learns from museum director Mac Woodward about efforts to create the Sam Houston Republic of Texas Presidential Library at SHSU.